A solar-powered water pumping system has just been commissioned in El-Hayez, a village in northern Egypt. The equipment, supplied by Schneider Electric (a French company), provides farmers with water for irrigation. Schneider Electric, a French company specialised in the supply of automated energy systems, has just completed the installation of a solar-powered water pumping system from the wells of Sherif and Gomaa. So far, these two wells had been operating thanks to standard electric pumps. 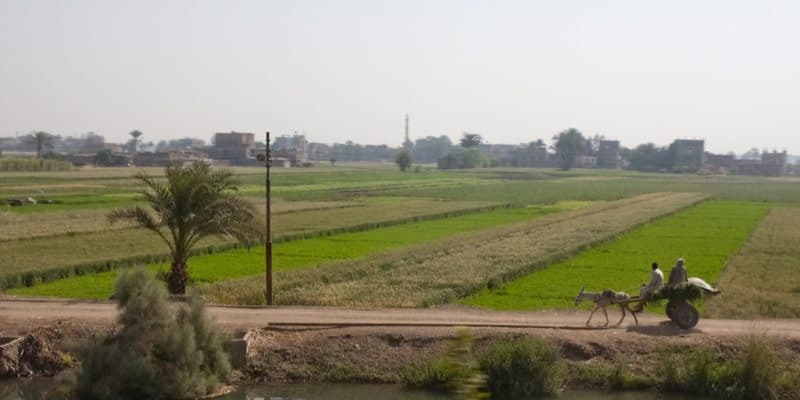 According to Walid Sheta, President of Schneider Electric for Egypt and North East Africa, “The project is expected to become a source of income for some 28 households whose main source of income is agriculture. This will equally attract investors in the region”. The new pumping system is equipped with the EcoStruxure technology, manufactured by Schneider Electric. This is an Internet of Things-automated system, that has already been used to equip more than 450,000 facilities worldwide. So, the system consists of solar panels, which supply energy to the Altivar 312 motor, all integrated into a white container that facilitates installation in rural areas. The system will be able to irrigate nearly 140 hectares. The company believes this system should also reduce carbon dioxide emissions by 38 tonnes per year. Schneider Electric, with more than 140,000 employees worldwide, is extending its projects in the land of the Pharaohs. The company commissioned a solar off-grid system in December 2018. This is the result of a partnership signed with Jinko Solar Holding Limited, a subsidiary of Jinko Solar, the world leader in the manufacture of solar panels (9.81 GW of modules delivered in 2017, Editor’s note). Both companies provided an off-grid system in the Abu Ghuraqd village, 30 km away from Abu Redis in southern Sinai. This 55 kW capacity system can supply 35 families, a mosque, a school, a small medical centre and three farms. The new facility should also be able to supply two irrigation pumps. The off-grid replaces three diesel generators with a 30 kW capacity. They used to supply the village with electricity for only 8 hours a day, which was not enough to meet the energy needs of the population.